29k had a vision to build a platform for personal growth and asked us to bring life to that vision. Creating a scalable, transformative experience that enables people to be more compassionate towards themselves. Science, technology and human connection combined can allow people to grow without a live facilitator/psychologist needed. 29k started with nothing more than a vision to impact 5 million people’s lives in 5 years, and in turn change the course of humanity. Casually. 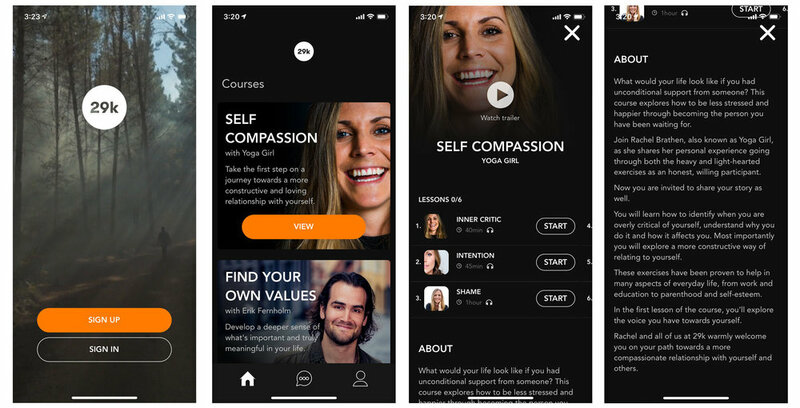 We worked together with investors to define a clear scope of what to impact and why, and used the Mindfulness models of dr. Ellen Langer (Harvard University) to define the 5 most critical skills for the 21st century: compassion, curiousity, perspective taking, self determination and sense making. This provided a clear vision to start designing interventions. We believe that as designers we must stand on the shoulders of giants and turn to science when designing transformative experiences. We deep-dove into academic literature on self-compassion, and edited evidence-based self compassion exercises to be attractive and easy-to-do for a wide public. We discovered that using video and a responsive app worked extremely well to convey the brilliant ideas dr. Kristin Neff came up with. How to enable strangers to grow, together. 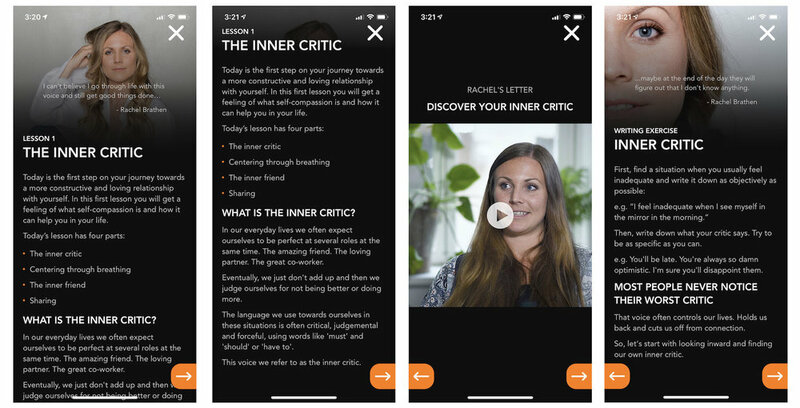 We conducted rapid experiments to test whether we could help people grow their self compassion without needing a live psychologist or facilitator. We started with semi-facilitated online webinars, and learnt how to dial down the facilitation needed all the way until we could automate the whole course. Of course, growth doesn’t often happen alone, so how did we solve for this design challenge? We designed the experience so that groups of strangers share and support each other through their journeys. That’s a tough challenge and it took a good amount of iterations to learn how to create that safe space to share, and how motivate people to carve out time during their busy to day to devote to personal growth. Get in touch if you’d like to hear how we did it!